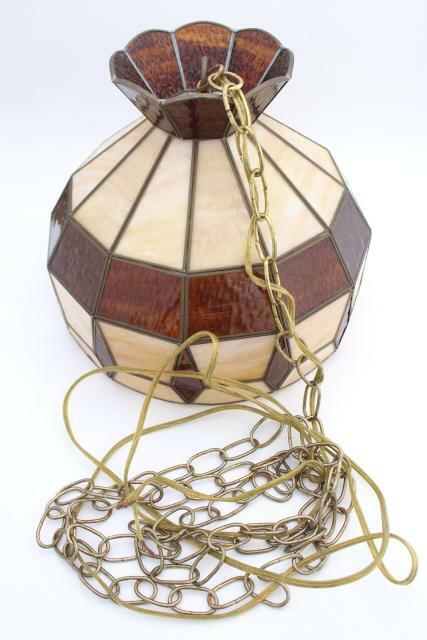 Non-working vintage swag chain hanging pendant light.This has a long chain and cord, but no plug! 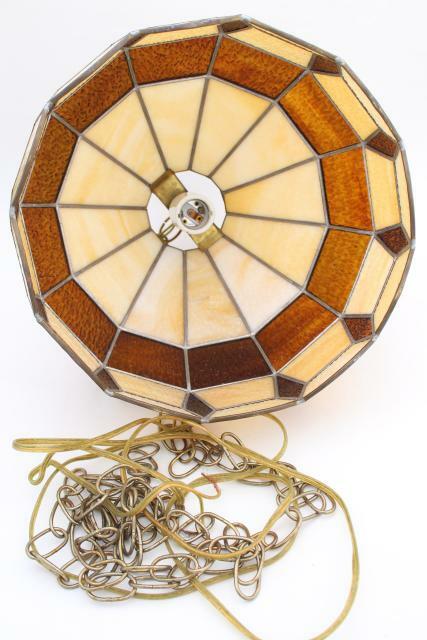 You'll need to do a little wiring on this one. 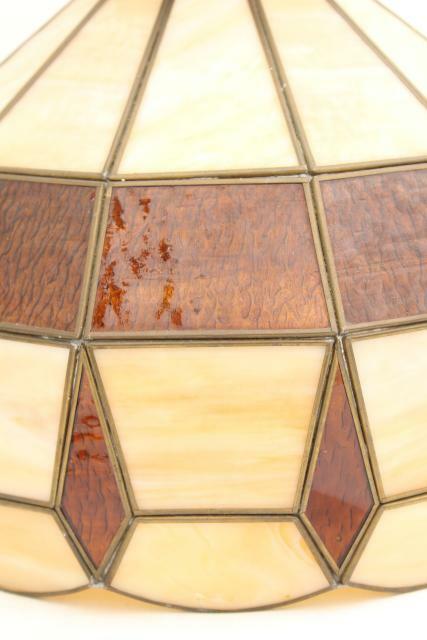 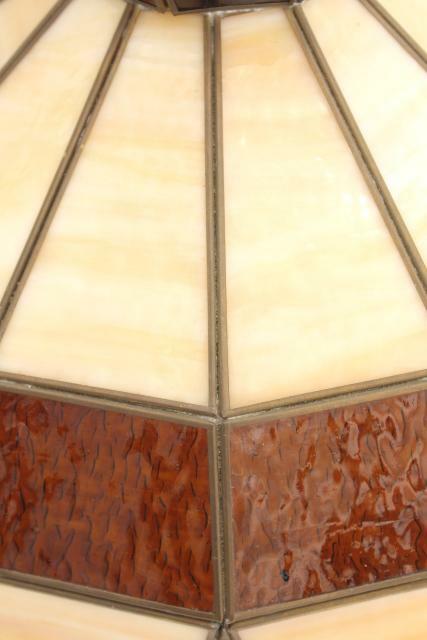 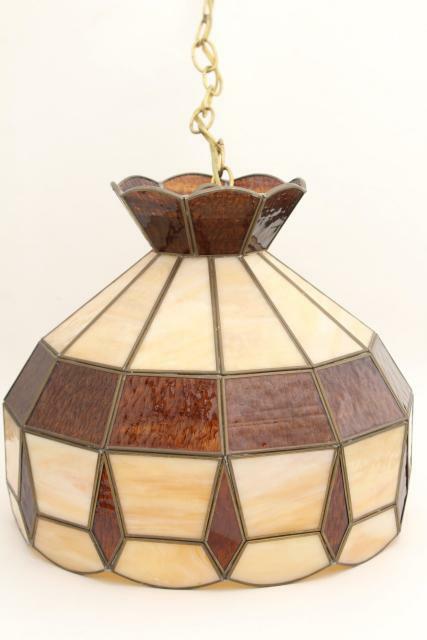 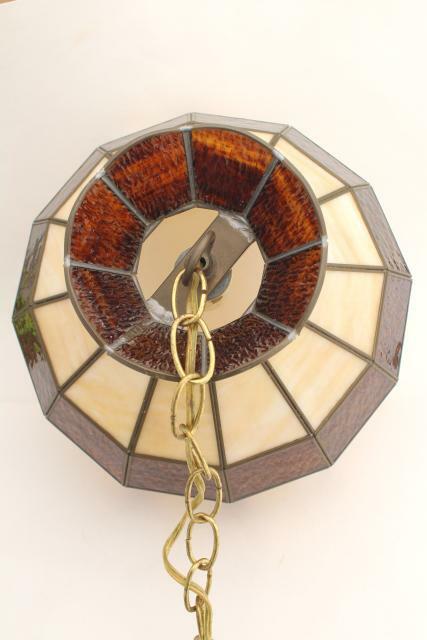 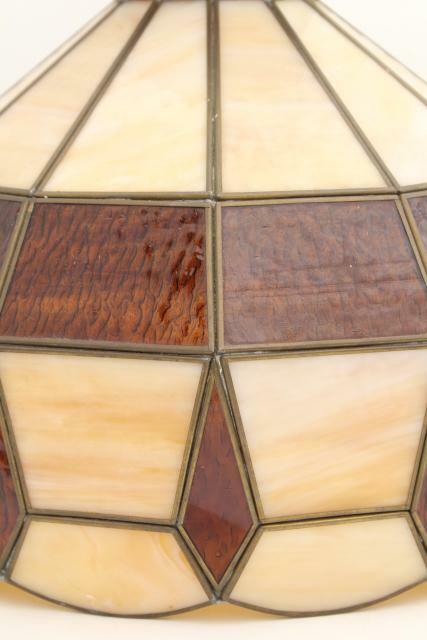 We love the very retro leaded glass shade, so 70s in clear amber and caramel slag glass. 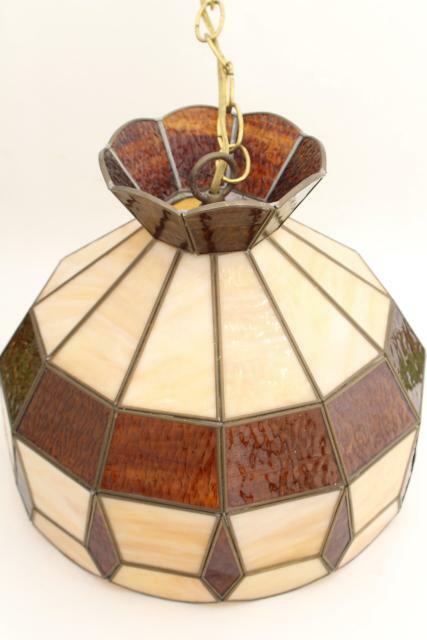 The shade measures about 11" tall x 12" in diameter, and is in very good condition, no cracks or breaks.